The phrase may seem rather simple, but attending the IdeaSpace Technopreneurship Bootcamp made me see how much meaning that phrase really held. If you think about it everything starts with an idea; people put up banks because it’s their idea to keep the people’s money safer, schools were put up because it’s their idea to have a better community with educated individuals, and startup businesses can come from any possible idea thinkable, it doesn’t matter how big or small. Being a person who isn’t initially very techy, I still found myself engrossed in the talks by many big people in the startup business world. The talks were technical, yet still very relatable and not that hard to understand. Dustin Masancay, Associate Director for Venture, IdeaSpace says that startups should come from “ideas that solve real problems”. Carlo Calimon, Co-Founder of MobKard also advises how “irritants” which are “small things that annoy you” or someone’s “personal crisis” can be the best source of a startup idea. Like in his example of how everyone desires a clean public restroom, thus came the idea for paid restrooms. “A cool product that doesn’t make revenue is just a cool project”, says Philip Adrian Atilano, Co-Founder of TimeFree Innovations in his talk on marketing advise for the blooming technopreneurs. What elements should be considered, and how they should be addressed properly. Like for example “value propositions”, how is your product different from the other similar products? And will it sell? The importance of branding was emphasized in the talks of Rina Malonzo and Trina Dela Rama, who are both Co-Founders of PortfolioMNL. They express how a great brand can produce a thriving business and how “being broke is the best motivation for innovation”, it’s quite catchy really. And with a success story from none other than Engr. Elpidio Paras most notably known as the owner of Dahilayan Nature Park, Paras Cable TV and other businesses was inspiring and motivating. His success story proves that even people with the simplest beginnings can have really big futures if they just strive and push for what they want in their lives. Already my brain was full of new and interesting information! 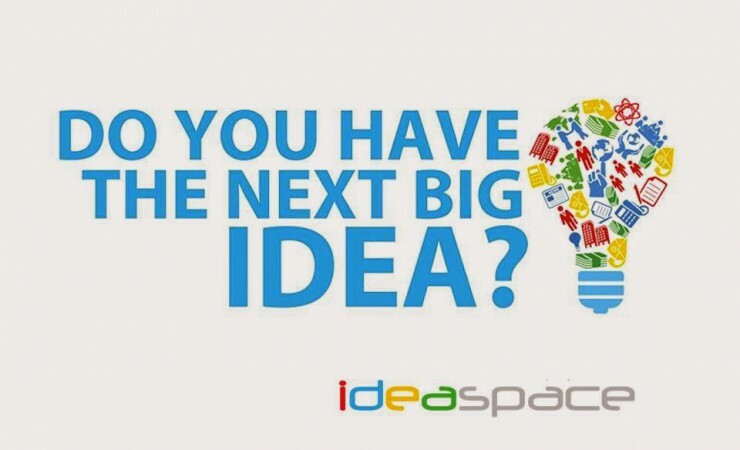 But I still had room for more, and then came the pitching of IdeaSpace’s top 10 future startups! It was great hearing all these awesome ideas, some of which people wouldn’t give a second thought about. But alas, out of the top 10 and 2 wild cards they had to choose only three winners. 3rd place went to a startup called Free Source, which is sort of like a talent listings where the academe can connect with outside businesses and find what sources they would need with this startup. 2nd place to a startup called Grocery Box, a centralized grocery scheduling and stocking system where it enables to user to know what’s in stock right now in the nearby grocery stores and be able to order from the startup. And the startup that nabbed 1st place was GravLight, which is amazingly a gravity powered emergency lighting system. Gravity you say? Meaning the energy is generated from a falling object, as such actually produces energy that can produce light. There’s definitely a lot of physics involved there. GravLight won 3,000php and books, while 2nd and 3rd won 2,000php and books and 1,000php and books, respectively. At the end of the day I was thinking if I should have my own startup, I thought about everyday problems that could most possibly have a solution. And if the seminar inspired me, how much more a person who is actually very techy?